Vehicle wraps are one of the most effective marketing tools a company can use. A full vehicle wrap can be a worthwhile investment to build a brand and capture attention. Another useful option is a partial vehicle wrap. Since they typically cover 25% to 75% of the vehicle they are a lower cost alternative. Our 3M trained installers expertly apply specialty wrap film to cars, trucks, cargo vans, cube vans and work trailers and transit vehicles. Our graphics team is ready to help with all stages from design to production and installation. Bring your ideas to our design team or let us create a new design to achieve the results you're going for. Contact us for more information about full vehicle wraps, partial wraps or any vehicle advertising. What Makes an Effective Vehicle Wrap? 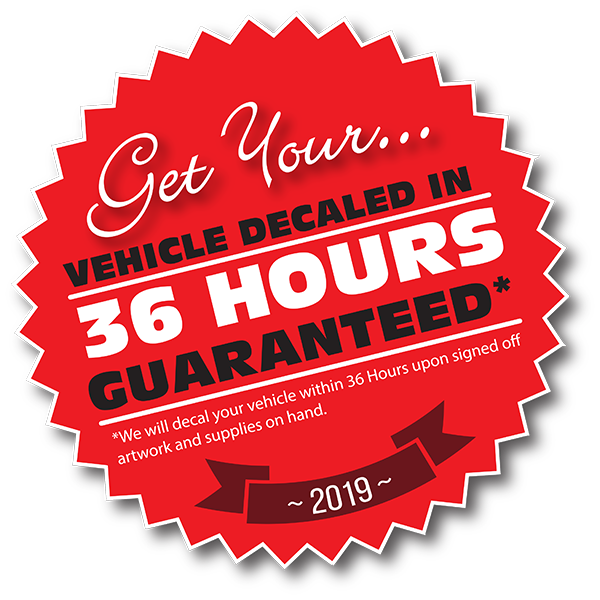 You want to make sure your investment in a vehicle wrap makes sense. Graphic design plays an important role to ensure your vehicle graphics deliver the results you're going for. Our graphic design team works with you to create an eye-catching design to promote your company, product or service. Even a simple logo on a truck or van will be designed to consider the best size and position of the graphics. When it's time to remove or change your vehicle wrap, contact Capital Signs ltd. for removal services. Our high level of service together with our experience will result in an effective vehicle wrap to help promote your company. Capital Signs ltd. will ensure your vehicle wraps are on brand, on time and on budget.